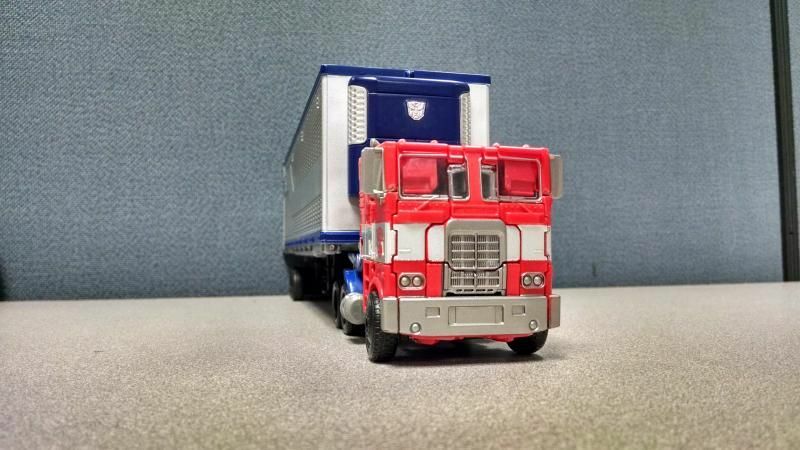 I pulled out 3 of the flat-nose Optimus Primes that I own, not counting repaints: G1, Classics, and AoE. 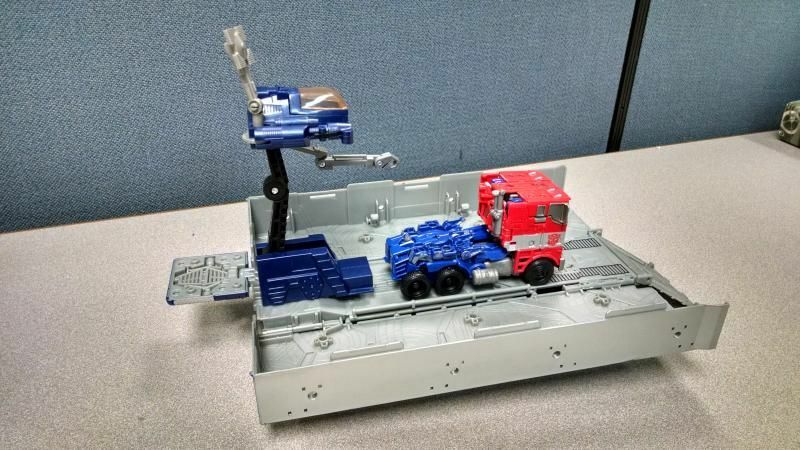 Specifically, a reissue G1, and the Evolution versions of the Classics and Evasion mode figs. 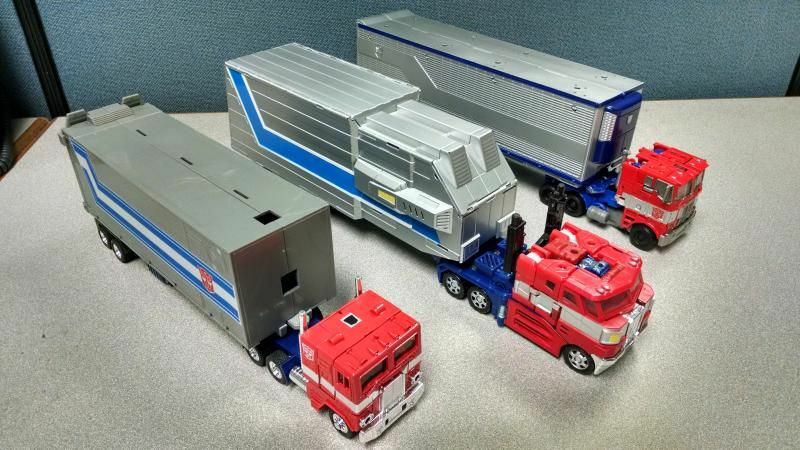 G1, of course, has his trailer, and the Classics mold has, among others, the BTS trailer. 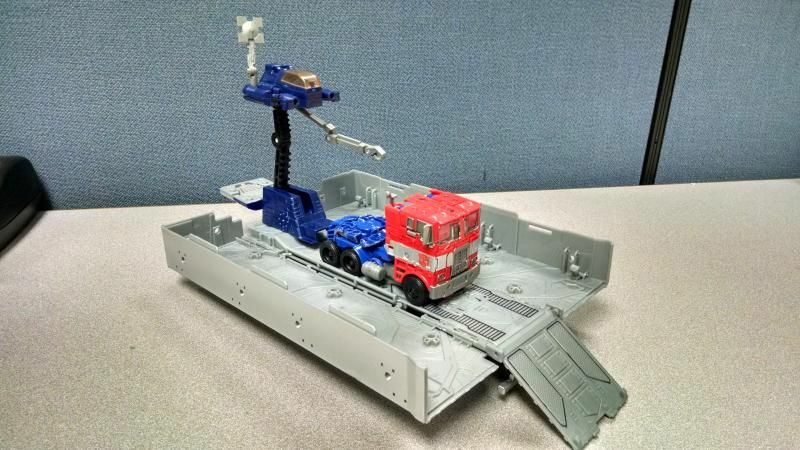 AoE has none, but the DOTM Voyager trailer seemed like it would fit well. The hitch post fits, loosely, into a gap in the rear (Phrasing!) 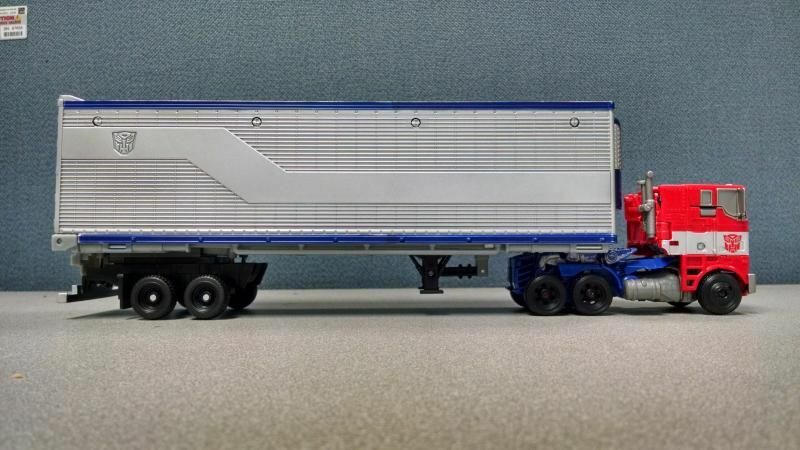 of Ev OP’s truck chassis, but this leaves the front of the trailer far higher than the rear. So I went to work. Might be a little tall for the Evasion mold, but I like it. 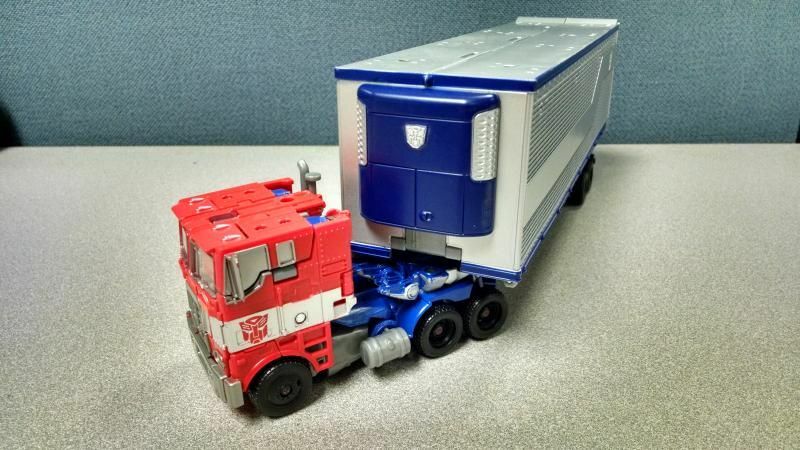 The trailer’s wheels are very similar to Evasion OP’s, same size and everything. And the mod is reversible, as long as you can remember where you left the original screws… uh-oh. No pics, but I tried the repair drone part from a G1 trailer on the DOTM trailer, and it almost fits, just requires a little shaving here and there. EDIT- Here are a few more, plus some of the G1 repair drone. 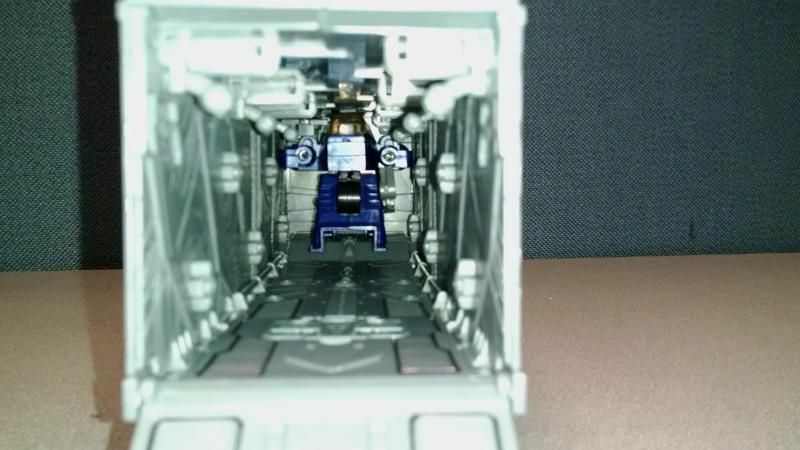 You could probably also add the little human-sized control pods from the inside of the G1 trailer, too, FWIW. 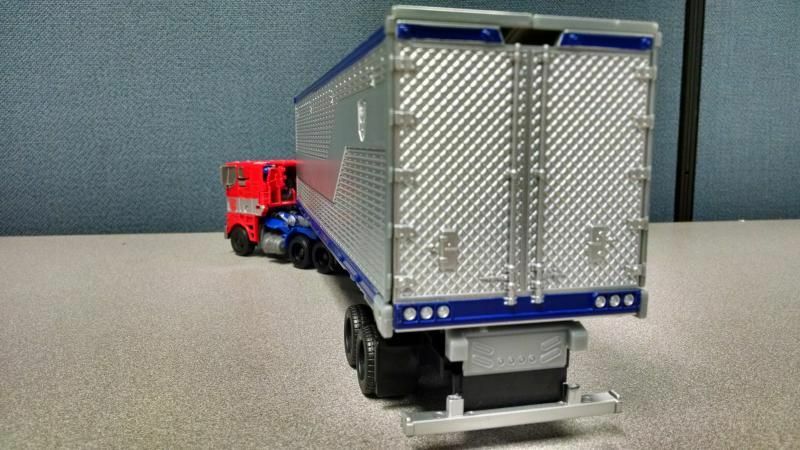 Nice job, the trailer looks perfect with him. I can't wait to get my hands on that mold. 5,364 pages were recently viewed by 626 unique visitors. This page was viewed 1 times on Tuesday, April 23rd 2019 7:27am CDT. © 2019 Seibertron, Inc. DBA Seibertron.com. All Rights Reserved. Established June 2000. Seibertron.com is owned by Ryan Yzquierdo.